The Grand National Roadster Show – GNRS – needs little introduction or explanation to anyone involved in hot rodding. And each year it more than lives up to the hype. Held at the end of January, the 2017 event was the 68th. True, it’s not always taken place at the Pomona Fairplex, but it sure feels like the event’s home to us. There’s always so much to see, you need all three days to do it justice, what with hundreds of the world’s best hot rods and customs on the show floor, the ’60 Years of Tri-Five Chevys’ display, more cars in the surrounding show grounds, the official unveiling of Chet Herbert’s The Beast III (expertly restored by Dan Webb) and plenty of vendors eager to show you what they’ve got. As usual, we pitched up with the H&H Flatheads crew to meet plenty of customers old and new. There there’s the competition for the prestigious America’s Most Beautiful Roadster trophy. 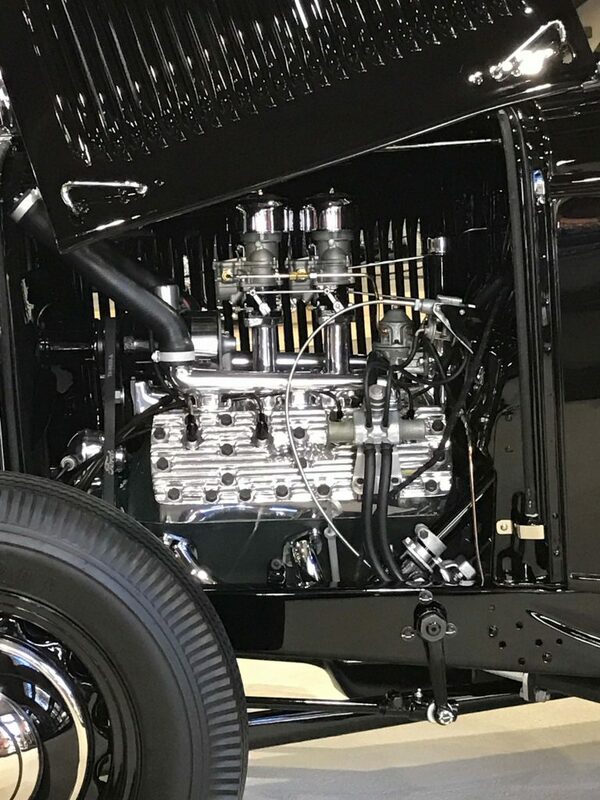 Bruce Wanta’s ‘Mulholland Speedster’ took home the top prize, so congrats to Troy Ladd and the Hollywood Hot Rods team, designer Eric Black and painter Mick Jenkins. For us here at Stromberg, it was particularly pleasing to see how many traditional styled, Stromberg equipped cars there were, both among the 13 AMBR entries, and throughout the show halls. As usual, our photos are a totally random, though Stromberg biased, selection of things we liked the look of over the weekend. Our favourites? It was particularly poignant seeing the California Kid again. The Pink Panther car takes a lot of beating for anyone who remembers the crazy show car era. The Early Ford Store’s fuel injected ’40 Ford barn find is typical of the magic they seem to come across again and again. And a pair of super cool hot rods from the Estranged Car Club that we would have taken home given half a chance.